Cook the potatoes in boiling water for an amount of time between 20 and 30 minutes, until you consider them “cooked through.” Drain in colander and place a dish towel over the colander so the potatoes steam for about 10 minutes. Cut them in half pieces (or quarters, if you feel inclined), place in bowl, toss with wine and stock. To make the dressing, combine vinegar, mustard, 1/2 t salt, 1/4 t pepper and then whisk in oil, or shake it in a jar, so that you produce a dressing. Then add scallions, dill, parsley and remaining salt and pepper. Good work! Your potatoes will be deeelicious. 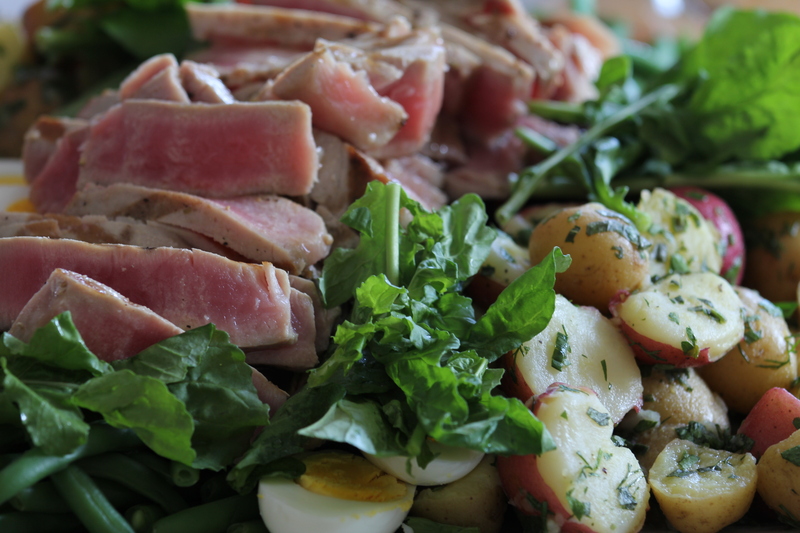 This entry was posted in Uncategorized and tagged family, food, ina garten, lunch, nicoise, potatoes, recipe, tuna. Bookmark the permalink. That is one gorgeous platter. And those potatoes sound seriously all-star amazing. I’m pretty sure I could just eat a plate of those and be so happy. What a lovely recipe and your photos are stunning! 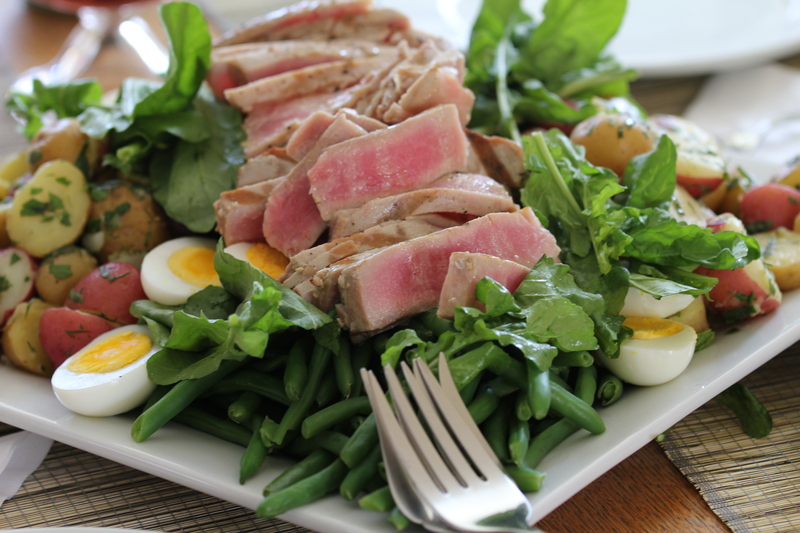 I thought I was an old hand at Nicoise salad, which I adore, but the use of white wine, Champagne vinegar, and dill here is new to me and sounds simply delicious.